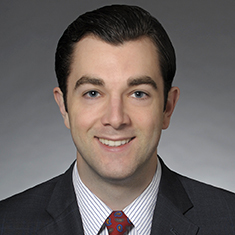 Michael Powers is an associate in the Litigation practice. Before joining Katten, he worked as a judicial intern for the Honorable Julian A. Cook, Jr. in the US District Court for the Eastern District of Michigan. While in law school, Michael served as managing notes editor for the University of Michigan Journal of Law Reform and published a note with the same journal. As an undergraduate, Michael received the William Jennings Bryan Leadership Prize.